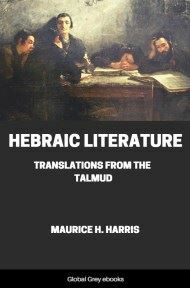 The Talmud is one of the most important holy books of the Hebrew religion and of the world. 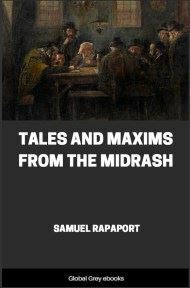 No English translation of the book existed until the author presented this work. 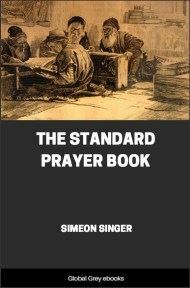 To this day, very little of the actual text seems available in English -- although we find many interpretive commentaries on what it is supposed to mean. 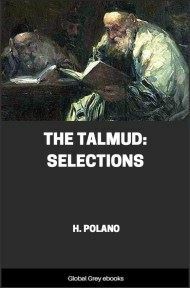 The Talmud has a reputation for being long and difficult to digest, but Polano has taken what he believes to be the best material and put it into extremely readable form. AND Adam knew Eve his wife, and she conceived and bore him two sons and three daughters. The first-born she called "Cain," saying, "I have gotten a man from the Lord." Her second son she called "Abel," saying, "With nothing we come into the world, and with nothing will we be taken from it"
When the lads grew up, their father gave to each of them a possession in the land. Cain became a tiller of the soil, and Abel a shepherd. And after a time it came to pass that the lads each brought an offering to the Lord. Cain brought from the fruit of the ground, and Abel brought from the firstlings of his flock. But while Abel selected the finest and best-conditioned animals, Cain offered fruit of an inferior quality, the poorest which the earth offered. Therefore Cain's offering was unheeded, while the fire of acceptance fell from heaven, consuming the gracious gift which his brother had presented to his Maker. Thus a feeling of jealousy found birth in Cain's heart, and he resolved, when a good opportunity should offer, to slay his brother. This time came upon an occasion when Cain was ploughing his fields. Abel, leading his flocks to pasture, crossed the ground which his brother was tilling. In a wrathful spirit, Cain approached Abel, saying, "Wherefore comest thou with thy flocks to dwell in and to feed upon the land which belongs to me?" "Wherefore eatest thou of the flesh of my sheep? Wherefore clothe thyself in garments fashioned from their wool? Pay me for the flesh which thou hast eaten, for the garments in which thou art clothed, for they are mine, even as this ground is thine; then will I go out of it, aye, and fly through the air, so that I may not touch it." "Behold, thou art in my power. If I should see fit to slay thee now, to-day, who would avenge thy death?" 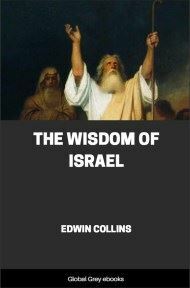 "God, who has placed us upon this earth," replied Abel. "He is the judge who rewardeth the pious man according to his deeds, and the wicked according to his wickedness. Thou canst not slay me and hide from Him the action. 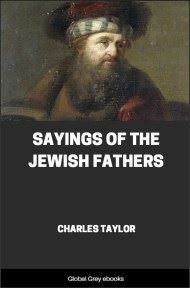 He will surely punish thee, aye, even for the evil words which thou hast spoken to me but now." This answer increased Cain's wrathful feelings, and, raising the implement of his labour which he was holding in his hand, he struck his brother suddenly therewith, and killed him. Thus was the blood of Abel spilled by Cain his brother, and the blood ran along the ground, even to the place where Abel's flocks were staying. And it came to pass, after this rash action, that Cain grieved and wept bitterly. Then, arising, he dug a hole in the ground, and buried therein his brother's body from the light of day. 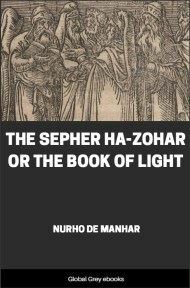 "Where is Abel, thy brother, who was With thee?" "I know not! Am I my brother's keeper?" "What hast thou done! Thy brother's blood cries to me from the ground. Thou thinkest I know not of thy action, of the crime which thou hast committed, which thou wouldst now deny. Cursed be thou from the ground which oped to swallow up thy brother's blood. No longer shall it give its strength to thee and answer to thy efforts; no longer shall it give thee aught but thorns. A fugitive and wanderer shalt thou henceforth be upon the earth." And Cain went forth a wanderer from the presence of his Maker, forth to the land on the east of Eden. Now, after this time, when God began to give Cain rest, his wife conceived and bore a son. And Cain called his son "Enoch," because God had at last given him rest upon the earth. And he began to build a city, and this, too, he called "Enoch," for the same reason, because he was no longer a fugitive and a wanderer as before.